Enabling organizations to realize the value of integrating business, data and cloud – with the Internet of Things. 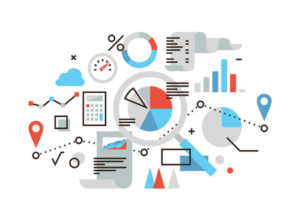 Trusting your business data will position you for better decision making – helping you secure your future and beat the competition. 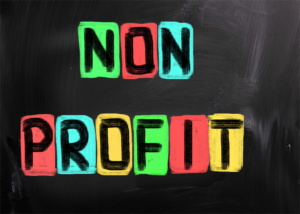 Non Profits have unique requirements – fundraising, marketing and business solutions. From strategic planning to execution, Tech3 will assist you in changing your environment to meet your goals. We are a leading provider of managed services, cloud services, cloud integration and disaster recovery plans. With over ten years of experience, Tech3 provides innovative solutions for your business. Outsourcing your IT environment through our core offerings will enable more effective business processing. Tech3 has over 10 years of experience providing technology services to small and medium businesses. Our combined years of experience from our staff exceeds 200 years. Our industry portfolio is diverse, from arts & culture to oil and gas. Our CTO organization continually provides innovative solutions beyond typical infrastructure offerings. 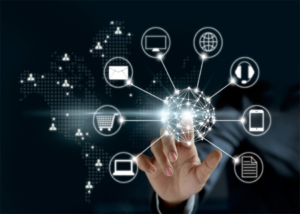 Our consulting organization has developed several offerings related to business integration and digital transformation. We are committed to customer service, innovation and cost efficiency. Is Tech3 a Managed Services Provider? Yes, but we provide additional capabilities from cloud solutions, network design, application design and implementation, business integration and digital transformation planning, and implementation. Does Tech3 provide to Non-Profit institutions? Yes, we provide service to many arts & culture non-profits, private schools and public entities. Can I purchase technology equipment through Tech3? Yes. Tech3 has relationships with many technology providers and distributors enabling us to obtain great pricing options for our customers. What pricing models are used by Tech3 for its services? For managed services we provide a per unit pricing option, a flat fee option as well as tier2 options. We have several suppliers of cloud services that enable us to provide variable pricing based on usage, with terms from 30 days to multi-year. Our consulting and professional service offers fixed fee, not-to-exceed and time & material pricing. Does Tech3 require multi-month, multi-year contracts? Tech3 will certainly consider multi-month, multi-year contracts, but our standard contract is a 30 day contract. We have over 10 years experience as a technology and consulting company. We provide service from four (4) locations in Texas and service many regions of the U.S.
Our CTO organization evaluates and implements new solutions continually. We have developed VR, drone and 360 video solutions. We provide cloud and data integrations using state of the art applications. Our advisory services assist our customers in future plan development. Tech3 approaches all engagements using a standard methodology. We incorporate Agile and Deming approaches to our development activities. Tech3 utilizes industry leading tools to monitor and evaluate or customers’ environments. Would you like to speak to one of our technicians over the phone? Just submit your details and we’ll be in touch shortly. For Businesses: Do you have questions about how Tech3 can help your company? Send us an email and we’ll get in touch shortly, or phone (713)-482-2900 between 7:00 and 6:00 Monday through Friday — we would be delighted to speak with you.